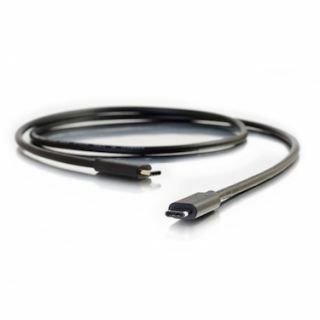 The What: C2G has expanded its USB portfolio to include USB 3.1 standard and USB Type C connector solutions. The What Else: A considerable number of improvements have been made to this new specification including a new, symmetrical high bandwidth connector called USB Type C. The data transfer rate has increased to 10 Gbit/s--twice the speed of existing USB technologies--which means a reduction in transfer and backup time of large amounts of data. The enhanced power delivery of 20 volts, 5 amps, and 100 watts can easily support charging mobile devices, but would also allow a laptop to power a computer monitor or vice versa through its USB C connector. It also features built-in support for DisplayPort video and four channel audio for speakers and a microphone.